Of course, it’s just a thought. And this is just a song. But the music Cash Savage is making is informed by real life - her own, and those of the people for whom violence, or the threat of violence, is inescapably real. The human beings who are called minorities and treated as though their lives matter less than others. The women and children on whom domestic violence is enacted, and those in the LGBTIQ+ community for whom violence is an implied or overt threat behind the rhetoric of “family values” and “good citizens”. 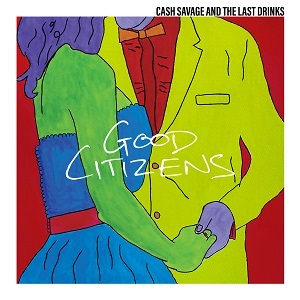 Following on from 2016’s hugely acclaimed One Of Us, Good Citizens raises the stakes and signals the ascent of Cash Savage and the Last Drinks as one of the heavy hitters of Australian music’s new era. An incandescent live band at the height of their powers, led by mighty front-woman Cash Savage, whose potent lyrics and impassioned delivery articulate the personal-political issues of these times with all her heart, guts and grit. Check out the clip for ‘Pack Animals’ below.